While you are visiting the Grand strand on your next golf vacation you might want to try something a little more adventuresome. Anyone seeking a thrill and an adrenaline rush will have a new option beginning Aug. 30, when, Ape Treetop Adventures is set to open at the North Myrtle Beach Sports Complex. The course will include five zip lines, including one that crosses a lake and is 900 feet long, several rope ladders and two Tarzan swings. The course covers six acres and takes two to three hours to complete. This will be something that the Grand Strand doesn’t currently have, but it will be the seventh rope course for Go Ape, with locations across the Northwest and Midwest. There are similar adventure attractions in the area that include zip lines such as Adrenaline Adventures in downtown Myrtle Beach and WonderWorks at Broadway at the Beach. 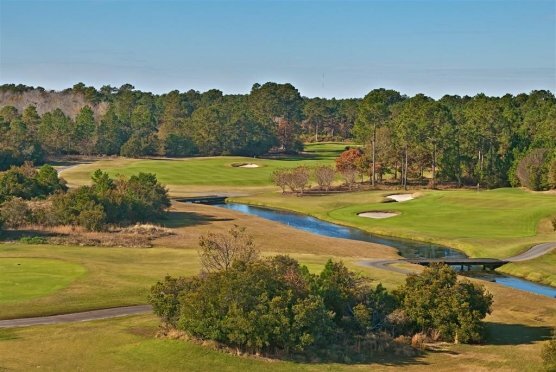 Owner and business development director Chris Swallow said that when they are picking a location for a course they look for something that offers the “wow” effect and the North Myrtle Beach Sports Complex certainly meets that criteria. Swallow said they allow children as young as 10 to participate – as long as they are at least 4-feet-7-inches tall – and they’ve had an 84-year-old woman go through the course with her grandchildren. Adults also cannot weigh more than 285 pounds, Swallow said. He said the company plans to construct a Treetop junior course for children ages 4 to 12 and at least 3-feet-3-inches tall. The course will be an inclusive adventure for people as well as testing their limits. Plus it is a good workout. The cost for adults is $55 and for children age 10 to 17, $35. North Myrtle Beach just keeps getting better and better and this new attraction should be an outstanding addition to everything else that this wonderful city has to offer. For more information go to www.goape.com or call 800-971-8271.